Anyone that identifies as the survivor of domestic violence, sexual assault, child abuse, elder abuse and/or human trafficking, their children, and non-offending family members. When is the Family Justice Center open and where are they located? The Family Justice Center is open Monday through Friday from 9:00 am to 5:00 pm. In Richmond, we are located at 256 24th Street, Richmond, CA 94804. The cross-street is Macdonald. In Concord, we are located at 2151 Salvio Street, Suite 201, Concord, CA 94520. The Office is at Suite 201, 2nd floor in Pacheco Square. Walk past the courtyard with the fountain to the elevators and take the elevator to the second floor. Our office is the first door on the left as you exit the elevator bay. Even though we encourage appointments, we accept walk-ins Monday through Friday 9:00 am to 5:00 pm. All you really need to bring is yourself and anyone in your family who may also be in need of support or services. However, we encourage all clients to bring any information or documentation you have, and that is safe to access, regarding any of your case(s) or the situation you are seeking help with. For example: police report numbers, court papers, etc. Do I need to have a Criminal Court case or be court mandated to go to the Family Justice Center? No. Anyone who has experienced domestic, sexual or interpersonal violence can utilize services at the Center regardless of whether or not there may be a current or previous criminal case. Clients will meet with trained staff to discuss their current needs. Please note that the Center does not provide services to family violence offenders. Are there special safety precautions at the Family Justice Center? Yes. The Center ensures the safety of clients and staff at all times. All visitors must announce themselves to the front desk and be cleared by staff to remain in the center. 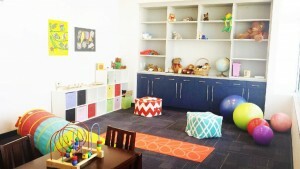 You may bring your children to the Center as we have specially designed areas where children can play while you are receiving services at the Center. However, we do not provide child care or supervision. For younger children who need care, we suggest that you bring someone who can care for your children. If you cannot find anyone to supervise your young children and you need to talk to someone urgently, please come in as we will try our best to serve you. Yes. However, when you speak to one of the staff, your support person may be asked to wait in the reception area in order to maintain the highest standards of confidentiality. Can I get services if I am an immigrant or do not speak English? Yes, Center staff will make every effort to accommodate your unique needs by assigning staff that speaks your language and understands your culture. In the event that a staff member who is fluent in your language of preference is not available, the Center will help locate an interpreter for you. There are no fees for any services provided at the Center. Will the police ask about my immigration status? Yes, our premises are wheelchair-accessible, and we have trained staff to work with survivors with disabilities or who request accommodations. Does the Family Justice Center help survivors over the age of 60? Yes, the Family Justice Center has multiple professionals who work together to provide expertly coordinated services of abuse including elder and dependent adult abuse. Please note that the majority of our staff and partners are mandated reporters of any indication of child, elder, or dependent adult abuse. Can I make a police report at the Family Justice Center? In most instances, yes, we can help you to make a police report. If the incident occurred outside of Contra Costa County, law enforcement services may not be readily available and may require a follow up appointment. Can I get criminal and civil legal information at the Family Justice Center? Yes, information regarding Family Court matters, immigration, and divorce is available from both Center staff and from partner organizations. Please note that to speak to an attorney you need to meet first with our Navigator before we can schedule an appointment. What other services are available to support me? Advocacy, peer counseling, emotional support, assistance with emergency shelter, law enforcement assistance, safety planning, court accompaniment and support, victims of crime compensation program, civil legal assistance, such as restraining orders, custody, and divorce issues, access to counseling and mental health services. Can I come back to the Family Justice Center for follow-up services? Yes, you may return at any time to the Family Justice Center for follow-up services. How can I make a donations or volunteer at the Family Justice Center?